The Song ‘Hey There Delilah’ Is Being Turned a TV Series:Remember that Plain White T’s song “Hey There Delilah” from 2005? Well, the band is pitching a romantic comedy and drama TV series they describe as a “contemporary fairy tale” based on the song. The idea is to expand the story in the lyrics of the song somehow… lyrics that like this, “Hey there Delilah, What’s it like in New York City?, I’m a thousand miles away, But girl, tonight you look so pretty.” We guess anything can be a TV show these days. HBD Instagram Stories: More than 400 active daily users celebrated the two-year birthday of Instagram Stories this week. Since introduced back in 2016, IG Stories have normalized the idea of “casual sharing” and “self-expression,” almost eclipsing the amount of engagement on “normal” Insta posts. In the past year the social network has added features like GIF stickers, location stickers, songs, fonts, Superzoom, highlights, questions and the poll sticker. So much goodness for being the age of a toddler. Expect to see a lot more about IG Stories in the coming years. Tinder > Snap? 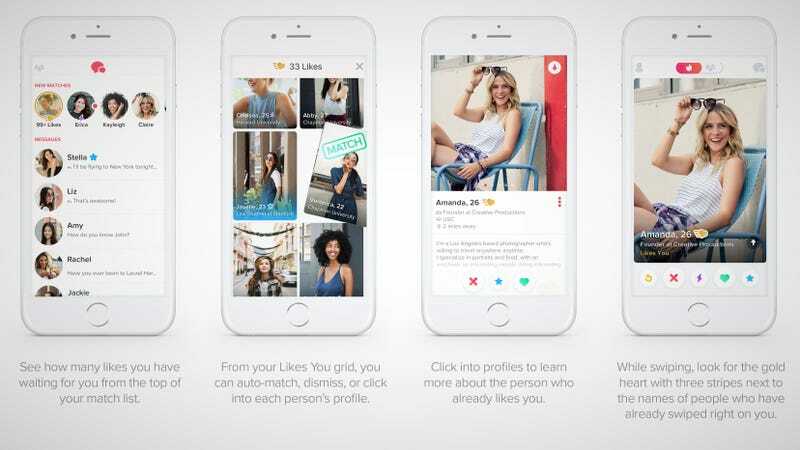 Tinder is projecting to bring in more than $800m in revenue this year, doubling last year. Generating almost all of its revenue via Tinder Gold subcriptions (at $14.99), the dating app continues to be a highly engaging money maker. In Q2, Tinder added almost 300k new subscribers, which brings them to almost 3.8 million. According to Recode, the dating app is growing almost as fast as Snap’s business was last year — except Tinder is projected to bring in $320m in profit this year, versus Snap losing $353m in Q2 alone. New Facebook Page Research: New research this week analyzed more than 43 million posts from the top 20,000 brands on Facebook in one of the largest studies of 2018. The key findings: 1) Top Pages are posting a lot more, 2) Overall Page engagement is declining, 3) Facebook engagement is own for videos, images, and links, 4) Posting 5 times per day resulted in highest overall engagement, 5) Top Page categories experienced 49-70% overall drop in engagement. The research also showed a large part of a brand’s Facebook marketing strategy should be focused on engagement, interacting with your audience, and increasing the ROI of each post, instead of simply broadcasting your message. Lots to dig into here. This robot uses AI to find Waldo, thereby ruining Where’s Waldo: A new algorithm called “There’s Waldo” uses a Raspberry Pi, robot arm and facial recognition to take a photo of the page, identify possible Waldo faces, analyze them within 95% confidence and then use a weird robotic tiny hand to point to him. Watch it here. More like Waldon’t.